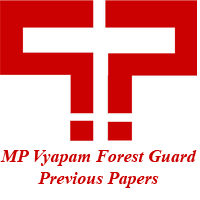 MP Vyapam Forest Guard Previous Papers Updated. Madhya Pradesh Vyapam Vanarakshak Solved Question Papers available here. Download Last 5 years MPPEB Forest Guard Exam Papers for practice purpose. Go through the following sections to get the MP PEB Forest Guard Model Question Papers, MP Vyapam Practice Papers, Preparation Tips. Also, get the vyapam.nic.in Forest Guard Exam Pattern on this page. Last Year Madhya Pradesh Vyapam Forest Guard Exam Papers Updated here. Aspirants who are hardly preparing for MPPEB Vanarakshak Exam can use the provided previous question papers for practice purpose. We have mentioned the MP Vyapam Forest Guard Solved Question Papers in Pdf format. Candidates can refer all the provided MPPEB Vanarakshak Sample papers along with your regular preparation. This will helps you to score well in the Madhya Pradesh Professional Examination Board Forest Guard Exam. There is a huge competition for the MP Forest Guard Jobs. To get shortlisted in the written test, aspirants have to prepare well. For those candidates sake, we have provided the Last 5 years MP Vyapam Exam Papers Pdf. Candidates can download these MPPEB Forest Guard Old Exam Papers at free of cost. These Madhya Pradesh Forest Guard Model Papers are very helpful for effective preparation. So, Willing candidates can download the MP Vyapam Forest Guard Previous Papers and then practice well to boost up your preparation. Mode of Application Online only. Candidates who are eagerly waiting for the MP State Forest Guard Jobs, here is an opportunity for you. Madhya Pradesh Professional Examination Board (MP Vyapam) has released recruitment notification for 1400 forest guard vacancies. Eligible aspirants have to apply online for MP Vyapam Vanarakshak Recruitment on or before 6th June 2017. If you have already applied then practice the provided Vyapam MP Forest Guard Solved Question Papers for the better score. Among from all applications, the required candidates will be selected based on the following selection levels. So, candidates should have to complete the following selection process to get the Forest Guard Job in Madhya Pradesh. Written Test (15th July to 14th August 2017). Madhya Pradesh Vyapam Forest Guard written test is for 200 marks. Question Papers comes with 5 sections. Check the subject/ section names in the above table. You have reached the right section, where you can quickly download the MP Vyapam Forest Guard Solved Question Papers. Candidates must practice the provided last 5 years MPPEB Forest Guard Previous Exam Papers for effective preparation. To speed up your question solving, you can also practice the MP Vyapam Forest Guard Practice Papers which are provided below. By referring the MP Vyapam Old Exam Papers, candidates can get an idea about scoring topics, important sections, exam paper pattern, difficulty level. Then, by practicing the MPPEB Vanarakshak Last Year Papers, you can speed up your question-solving time. Also, you can get another advantage. That is sometimes there is a chance of the repetition of previous year questions. If it happens, then you can easily answer for more questions if you have practiced all the MPPEB Old Exam Papers. For all these conveniences, you must have to download and practice the MP Vyapam Forest Guard Previous Papers. You need not use a paper and pen to note down the all the previous questions. Becuase, we have provided all those Madhya Pradesh Vyapam Previous Questions for Forest Guard Exam in Pdf format. In below section, you will find the all direct links for MP Vyapam Vanarakshak Solved Question Papers Pdf download. So, simply click on the below links to download. For ease of download, we have mentioned the all direct links for Madhya Pradesh Vyapam Forest Guard Model Papers Pdf. Thus, candidates need not spend their more time to MPPEB Forest Guard Solved Papers Download. Candidates can stay in touch with us through the www.previouspapers.co.in website for more old question papers update.